The Tin Man will face 13 rivals as he attempts to regain the Qipco British Champions Sprint title at Ascot on Saturday. James Fanshawe’s six-year-old won the Group One prize in 2016, but had to settle for fifth behind the reopposing Librisa Breeze last year. The Tin Man added another top level triumph to his record last time out in the Haydock Sprint Cup and Fanshawe is eager to strike gold again on Champions Day. He said: “Qipco British Champions Day has become a wonderful finale for the Flat season. Librisa Breeze takes his chance again for Dean Ivory and Robert Winston while Henry Candy has declared Limato, despite the prospect of soft ground. Harry Angel is looking to bury his Ascot hoodoo with Brando, Sir Dancealot and Ayr Gold Cup dead-heater Son Of Rest all in the mix. In the opening Long Distance Cup, John Gosden’s Stradivarius is looking to add to his bulging satchel. Already the winner of the Stayers’ Million Bonus this season, comprising of the Yorkshire Cup, Gold Cup at Ascot, Goodwood Cup and Lonsdale Cup, he is looking to better his close-up third from 12 months ago. “He’s a little guy, but all heart,” said Gosden. “Winning those four staying races has not happened before and might not happen again. Aidan O'Brien fields Irish St Leger winner Flag Of Honour as well as the lightly-raced Sir Erec and Cypress Creek, while Willie Mullins counts Thomas Hobson among the seven. 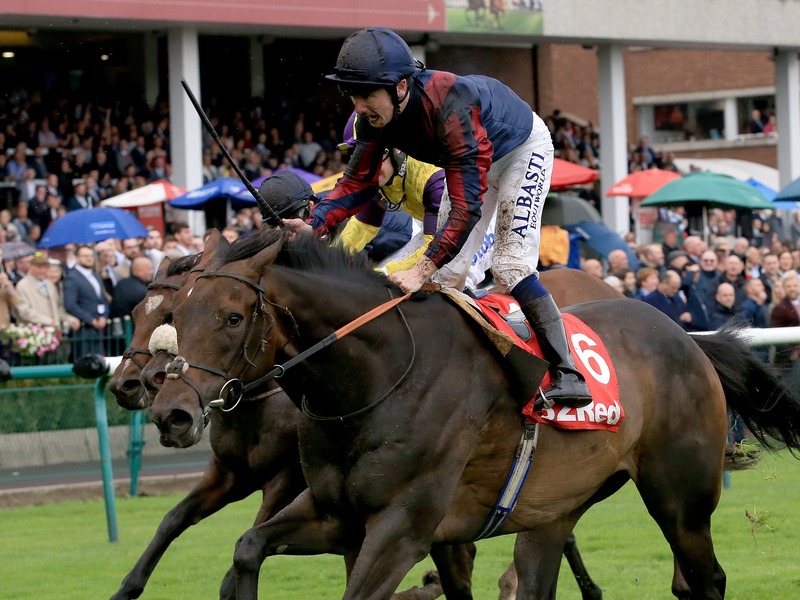 Last year’s winner, O’Brien’s Hydrangea, is among 11 in the Fillies & Mares Stakes. Stablemates Broadway, Bye Bye Baby, Flattering, Magical and Sizzling give the Ballydoyle handler a strong hand. However, Gosden’s Lah Ti Dar is the ante-post favourite after her second place in the St Leger. Andre Fabre’s Kitesurf is another major player following her victory in the Prix Vermeille. Ivory’s Flaming Spear heads the weights for the concluding Balmoral Handicap, with champion apprentice Jason Watson riding bottom weight Zwayyan for his boss Andrew Balding.